That's right folks. Nine days until Christmas. In the holiday spirit, I've decided to introduce to all of you some fantastically fabulous folks I've gotten to know and admire over the past 6 months... since that fateful day when I sat down at my computer and typed in www.blogger.com. They are my virtual friends. Kindred spirits whose idea of a great evening is sitting back in a comfortable chair, in a beautiful room, by a crackling fire, with a great book or magazine (likely Pride and Prejudice or Domino) and their furry best friend curled up at their feet (sound like anyone you know? exactly). And I am so appreciative that most were willing to help me out with my - pause for effect - Kindred Spirits Countdown-to-Christmas survey! (I thought that name up all on my own!) So there you have it. I whipped up this quick and easy six-question, complete-the-sentence diddlywho to let you inside the minds of my blogger comrades. Perhaps you're like me, wondering... Who are the brains behind these beautiful operations? Are they creative geniuses from the country's top design schools? The future Martha Stewarts of the world? Top editors of fashion and design magazines? Do they have endless time on their hands and limitless credit cards that allow them to make their homes and wardrobes beautiful? Well, as I pleasantly found out, most are not. Most are actually a lot like you and me... with a knack for writing and an eye for style. But enough chatter from me. Allow me to introduce you to my first blogfriend. 1. My home isn't decorated for the holidays until... there are string lights strewn about and candles in the window. I love the soft glow - it's instantly comforting. 2. My holiday spirit soars when I hear the song... George Winston's "Carol of the Bells" from his album, December. Here's a clip! 3. If I had to be anywhere but home on the holidays, it would be... in Segovia with my boyfriend where he's teaching English this year! 4. 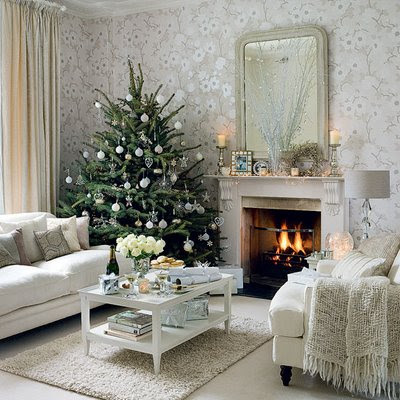 My favorite Decorology holiday blog post was... this post - "Happy Holiday pics" - from last year. 5. 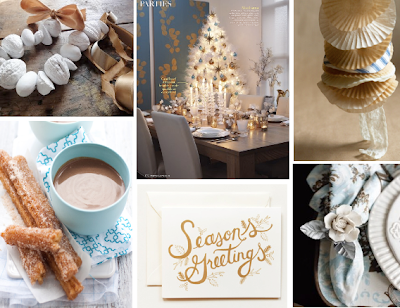 My favorite non-Decorology holiday blog post was... 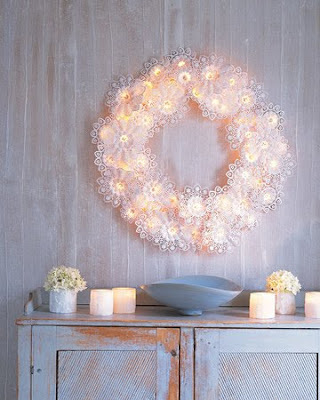 Delight By Design has a lot of really sweet and simple decorating ideas this year. 6. The number one gift on my wish list this year is... donations to the Morris Animal Foundation Canine Cancer Campaign in memory of my sweet Cody (who died on Dec. 18th last year from lymphoma). Thanks, again, Ashley, and I am so sorry for your loss. I dearly hope this Christmas is merrier. 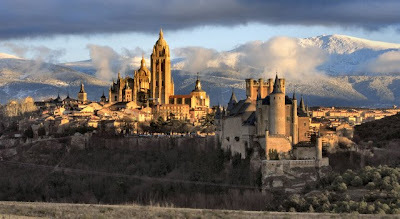 On another note, that photograph of Segovia looks like it's out of a fairy tale. Are we sure that's a real cityscape?? And readers, stay tuned for A LOT more posts leading up to Christmas. I'll be working overtime and on the weekend to get you all of the Kindred Spirits surveys that are coming in AND non-Kindred Spirits posts each day. This is such a cool idea! I love it! Love this idea too! Can't wait to read more about our fellow bloggers! What a wonderful idea - the true Christmas spirit. I also love your "roll" of blogs on the side. Can't wait to see who is featured tomorrow - I am sure it is difficult to decide. 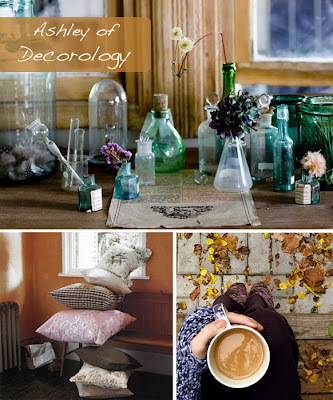 I've been reading Decorology for a few months and love it. Glad to see it was featured. I'm looking forward to the other blogs you're going to feature. I thoroughly enjoyed this. What a great idea! Please consider me a new fan!